Your pet can wear the game like never before with these stylish, officially licensed football lace collars from GameWear�. 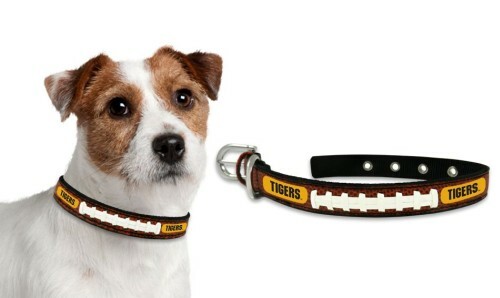 Each collar is handcrafted from football leather and laces, and emblazoned with your favorite team�s logo and colors. Get your favorite four-legged friend in the game with these officially licensed collars from GameWear!! Size Small fits 10 - 14 inches, Medium fits 14 - 20 inches, and Large fits 18 - 26 inches.